one chocolate frosted sprinkle doughnut pleeeeease! i do this on saturday mornings and it is the purest form of bliss i know! Life is all about the little things... chocolate doughnuts with sprinkles are a plus! Why are you the cutest thing on the whole planet? YUM! 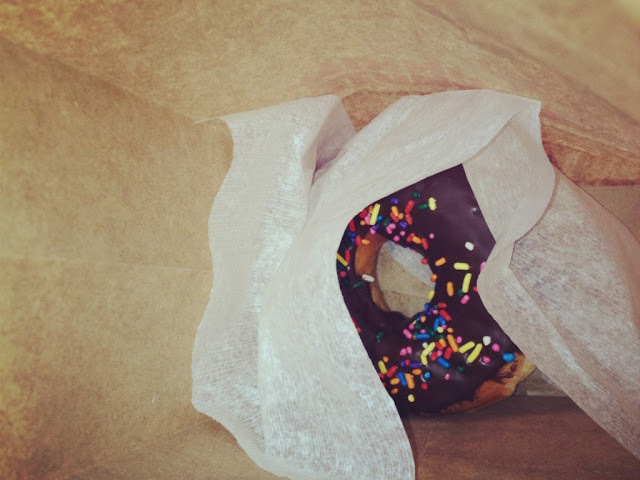 Donuts are my favorite junk food! perfect way to end a sunday morning!